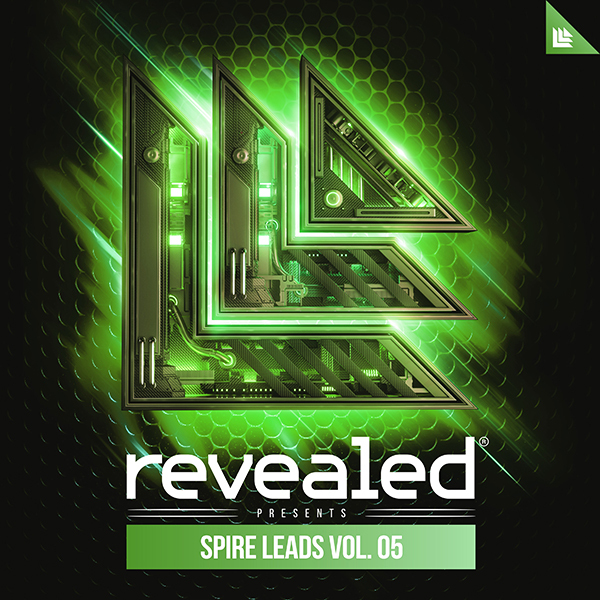 Revealed Hardstyle Kits Vol. 1 is a collection of 5 construction kits ready to use in your next Revealed track. Revealed FX Tools Vol. 3 was designed to give you a creative edge. Split into 11 categories, you’ll discover a wide collection of Alarms, Clocks, Impacts, Hoovers, Lasers and so much more; for you to put an original spin on your next track. To top it off, we added in 50 presets of FX sounds for Sylenth1, so you can shape and tune your own FX exactly the way you want it. Each preset additionally comes with modwheel assignments programmed to give you further sonic options and possibilities when trying to find the right sound to finish your track. Welcome to Revealed Dinosaurs Vol. 1; a collection of prehistoric raw and hybrid-fused Dinosaurs sounds to bring your productions to new creative frontiers. Explore the sounds of some of your favorite dominant terrestrial ancestors; such as: Triceratops, Tyrannosaurus Rex, Stegosaurus, Nothosaurus, Pterosaur, and many more (including our take on the Revealedosaurus). Organized into 9 categories, you’ll find a wide array of Bass Shots, Synth Shots, Drop Stabs Impacts, and Risers all hybrid-fused with monstrous Dinosaurs for you to use in new and innovative ways. With Revealed Dinosaurs Vol. 1 you can relive, recapture, and retell the stories never told throughout the Triassic and Jurassic eras. Get ready to breathe new life into your tracks. Welcome to Revealed Producer Starter Pack Vol. 1; a FREE sample library for all aspiring and seasoned pro's alike who want to recreate the signature Revealed Recordings sound. Revealed Producer Starter Pack Vol. 1 is a collection of 385 samples and 64 presets for Spire and Sylenth1. Whether you're looking for Kicks, Synth Shots, Fills, FX, Percussion, Drop Stabs or Vocals, you will find it here. To speed up your workflow, all samples are labeled by their root key, if a discernible pitch was defined. Revealed Producer Starter Pack Vol. 1 is packed with a comprehensive and carefully selected collection of sounds to help get you started taking your productions to the next level. Welcome to Revealed Wild West Vol. 1; a collection of old-fashioned western American sounds to bring your productions to new creative frontiers. Organized into 16 categories, you'll find a wide array of one-shots and loopable phrases of authentic American Wild West instruments for you to use in new and innovative ways. Explore the sounds of banjos, electric guitars, mouth harps, harmonica war horns, pianos, guitar bends, FX, and so much more. Additionally, there's a number of MIDI files for you to quickly begin using in your tracks. To speed up your workflow, all samples are labeled by their root key, if a discernible pitch was defined. With Revealed Wild West Vol. 1, you can capture the adventures of cowboys, outlaws, bounty hunters, and what goes on at the saloons. So saddle up, face the music, and steer your tracks to another level. Revealed Festival Kits Vol. 3 is a collection of 5 construction kits ready to use in your next Revealed track. Each kit includes the WAV files of all the elements of the track; from bass, synths, leads, kicks, fills, fx, claps, percussion, and more. In addition, each Kit contains the MIDI files of all the melodic and bass elements, so you can easily manipulate your favorite sounds and construct it just the way you want it. To speed your workflow, each Kit is labeled with it's root key and BPM information. Revealed Drop Stabs Vol. 3 is a collection of hybrid-fused Stabs to make your drops come alive. We recorded and blended an array of instruments and used a variety of techniques to blend, warp, shape and layer the sounds together to give your drops a high-powered and dynamic edge. Welcome to Revealed Synth Shots Vol. 1, a collection of dynamical synth shots designed to bring impact and character into your next Revealed track. Revealed MIDI Anthems Vol. 1 is for the producer who needs a boost of inspiration. Spanning a collection of over 90 original Revealed-style MIDI + 20 Bonus Loops (128BPM), you’ll find what you need to boost your creative flow and inspiration. Just drag and drop a huge variety of inspiring Revealed-style MIDI files; from melodic chords, mainstage drops, and phat leads – all royalty free. To speed up your workflow, each MIDI and Bonus Loops file is labeled with its root key information. Revealed FX Tools Vol. 2 was designed to give you a creative edge. Split into 19 categories, you'll discover a wide collection of Alarms, Clocks, Impacts, Wind-Ups, Lasers and so much more; for you to put an original spin on your next track. To top it off, we added in 32 presets of Tonal Risers for Spire, so you can shape and tune your own FX exactly the way you want it. Each preset additionally comes with modwheel assignments has all 4 macros programmed to give you further sonic options and possibilities when trying to find the right sound to finish your track.